Due to an increase in customer demand we need more Fetchers, specifically with cars and vans, especially in and around these suburbs; Dandenong South, Dandenong, Clayton, Mulgrave, Footscray, Richmond, Burwood and South Melbourne. 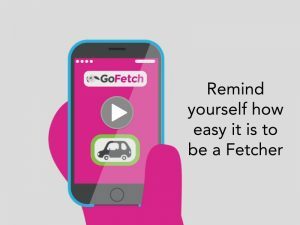 To see just how easy it is to start Fetching, watch this video. If you have an iPhone 5 or newer you can start the Fetcher process NOW.